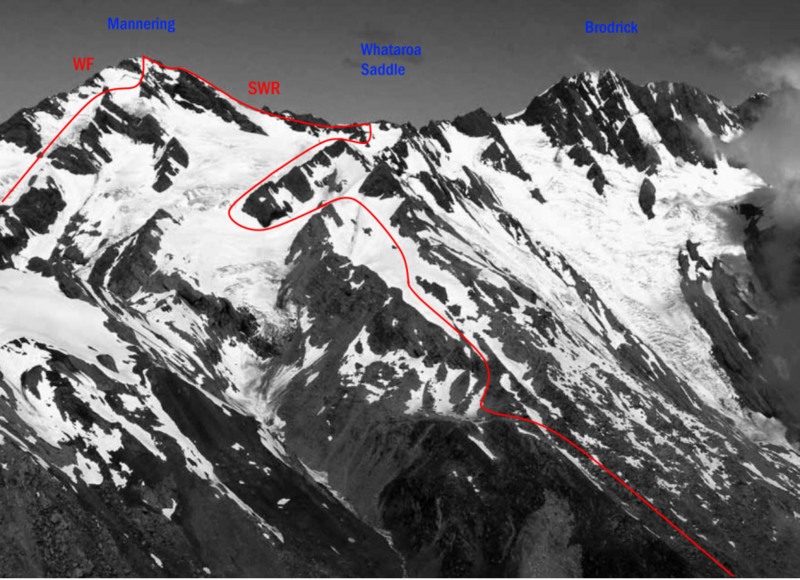 From Whataroa Saddle ascend snow and rock on the Main Divide, passing an overhang near the summit by using a gut nearby or turning to the north-west side. An alternative route from the saddle lies up the slopes on the western side, approaching the summit from the south-west. From the Whataroa. Interesting rock slabs and snow patches. Gained from the Classen Glacier.